Former President of Nigeria, Goodluck Jonathan, has congratulated Ghana’s President-elect, Nana Akufo-Addo, on his victory in this year’s presidential election. The New People Party (NPP) candidate, has been declared the winner by the Electoral Commission of Ghana. 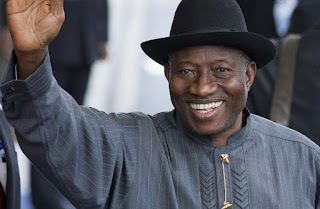 Jonathan saluted Mahama for doing the honourable thing in conceding defeat. “I am immensely proud of the maturity and high patriotism displayed by President John Mahama who has just conceded to Mr. Nana Akufo-Addo,” Jonathan wrote on his official Twitter page. “Some may erroneously think that President Mahama lost today. Not at all. Not at all. He has gained honour that will never depart from him. “I congratulate Mr. Nana Akufo-Addo and urge him to immediately begin the process of reuniting the nation of Ghana. “I also urge him to appreciate the great strides and achievements of President John Mahama when that time comes.